A Yorkshire-based creator of personalised gifts has expanded to fulfil orders across the globe. The Occasional Reporter, which creates bespoke, framed newspaper articles for all occasions, began as a hobby born out of a passion for journalism. The fully-fledged business has now gone on to provide its personalised gifts to customers in several countries. 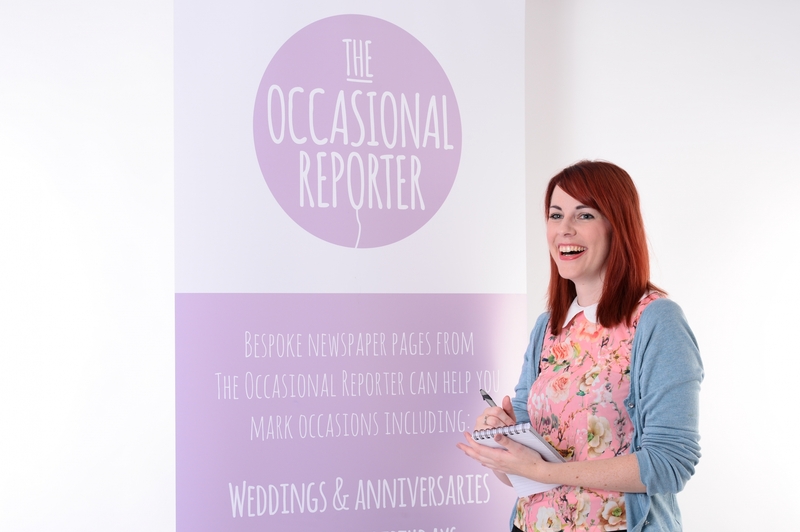 Officially launching this March at www.theoccasionalreporter.com, The Occasional Reporter has written countless bespoke newspaper front pages with orders coming from Huddersfield, where she's based, to as far as America and Australia, and Lauren has even been invited to attend live weddings to capture the day and write about it for the memorable keepsake. their frightening experience throughout Hurricane Harvey. Andrew Landgraf, from Houston, Texas, USA, purchased the gift for his wife on their first anniversary. questionnaire to fill out. The questionnaire didn't take long and I sent a couple pictures to include. they are happy with the final product. For more information, contact Emily Docherty on 0113 204 1416 or email emily@maccomms.net.